The beautiful Le Boutique Hotel offers its guests a luxurious experience with the intimate hospitality of a family home. 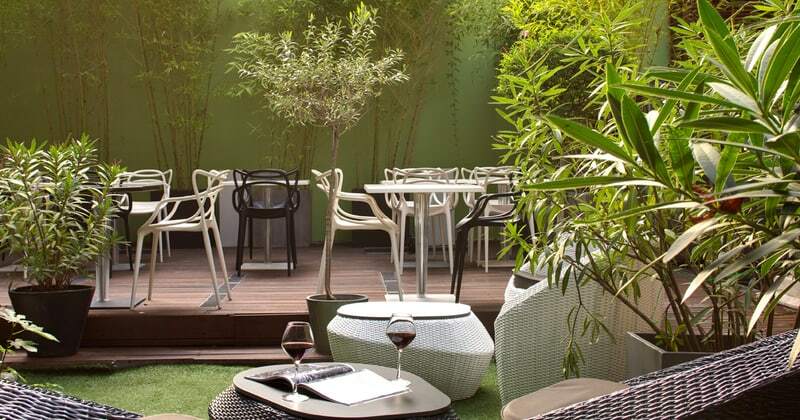 Its personalised and designer décor as well as its verdant interior garden set around a chic wine bar highlights the character of this UNESCO Classified World Heritage building. Le Boutique Hotel is a truly unique address from which to explore the delights of Bordeaux in an elegant and timeless setting. 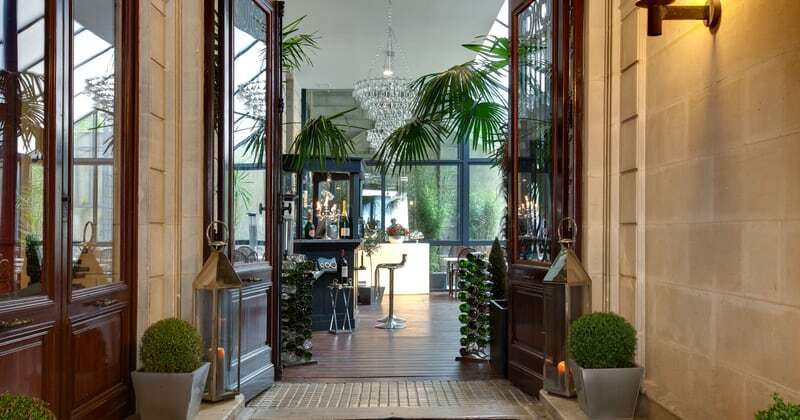 Ideally situated in the historic centre of Bordeaux, close to Place Gambetta, the hotel is tucked away behind an impressive set of wooden doors at the top of Rue Lafaurie. Push open the doors to reveal a green and luxurious courtyard- this centrepiece offers perfect calm for the overlooking rooms. The building dates back to the 18th Century, with the sandstone exteriors that are so characteristic of Bordeaux’s grand residences and a grand spiral staircase, which holds testimony to a prestigious past. Balancing high quality service with discretion is the objective of the staff at le Boutique Hotel and a concierge service is available 24 hours. Every morning, a delicious breakfast is served in your room, on the terrace or in the elegant dining room. The hotel’s spa with Jacuzzi and sauna is the perfect place to indulge and offers a warm and intimate atmosphere. 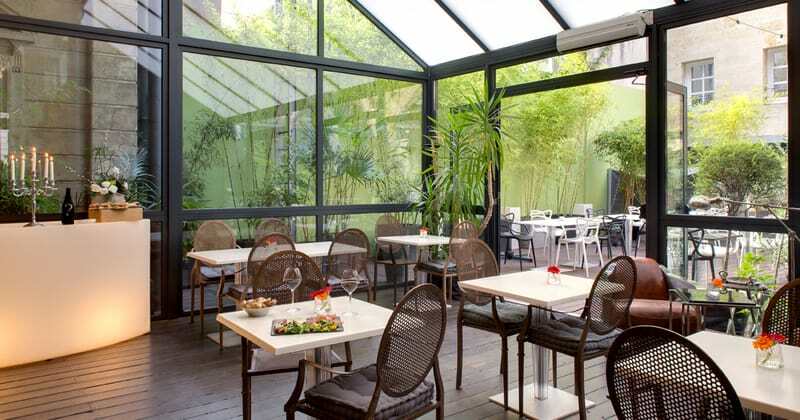 Guests also enjoy relaxing under the glass conservatory or on the open-air terrace of the hotel’s wine bar. Each of the 22 rooms and suites present a different environment and the association of classical and vintage create a harmonious fusion of elegant and quirky. Pretty views over the courtyard or rooftops add to the charm and bright atmosphere of the rooms. Paying tribute to the wines of Bordeaux, each room is named after a famous Château and is equipped with high-tech equipment and designer bathrooms.